One of the most wonderful things about living in Los Angeles is the sheer variety of produce available at local supermarkets. Oregon was rich in berries and always had a good general selection, but seeing jackfruit, mangos and papaya just sitting next to bananas at Vons (the local version of a Safeway) is a special kind of experience. The most exciting fruit so far—because I haven’t got the courage to try a jackfruit yet—has been the papaya. I’ve enjoyed papaya juice for a long time, thanks to an everlasting love of P.O.G., but hadn’t encountered the fruit in person. First, they’re huge, with a lot of the Mexican papayas weighing up to ten pounds. 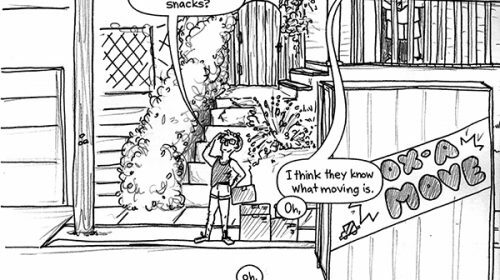 For an example, the much smaller papaya I recently picked up was enough for a snack, a smoothie the next day and well, a lot more than that. The big papayas offer about double the amount of fruit. 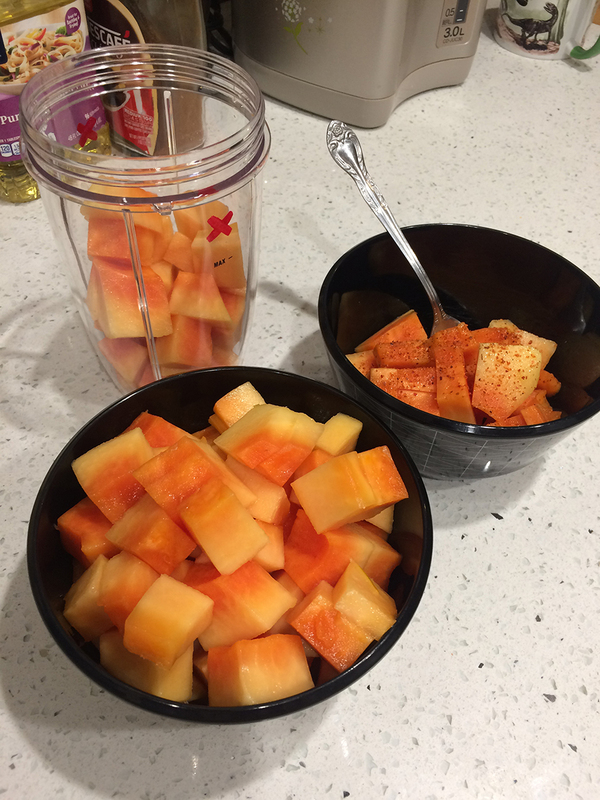 There’s a meatiness to papaya fruit that is reminiscent of a more sturdy melon and they’re juicier than you can imagine, which can lead to quite a delicious mess. Slicing off their rind feels a lot like fileting a chicken breast or taking the skin off a fish, with the same slippery worry that you’ll nick your hand. Their flavour that ranges from peppery to musky, depending on the breed, which makes papayas amazing in everything from salads to smoothies—or just straight out of a bowl with a little Tajin. They’re better than any P.O.G. or Kerns Nectar could have prepared me for. Papaya seeds are also a lot more intimidating and interesting than the little black specks on a juice bottle convey. 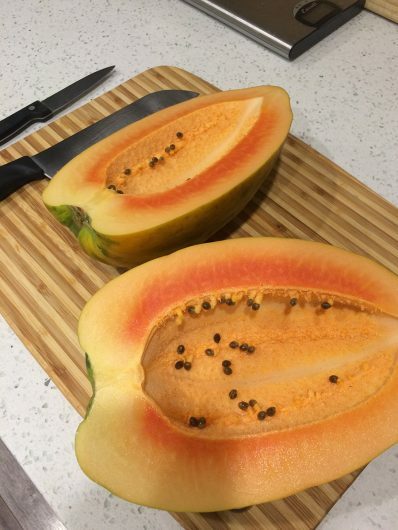 The first papaya I picked up was packed with seeds, just cups of slightly squishy, alien-looking little things. I’d read they were edible, with a taste like mustard, black pepper and horseradish, which sparked my curiosity. I ended up being a little overwhelmed by the idea of processing so many seeds and composted them, swearing the next papaya seeds would get dried and used. Imagine my surprise when I picked up the next papaya, a Hortus Gold, and found barely any seeds inside. Even though I was disappointed after the previous seed bounty, for a first-time experience, it ended up being the perfect amount of seeds. As I learned a helpful post on Spruce Eats, the fleshy covering of the seeds should be removed before drying them. 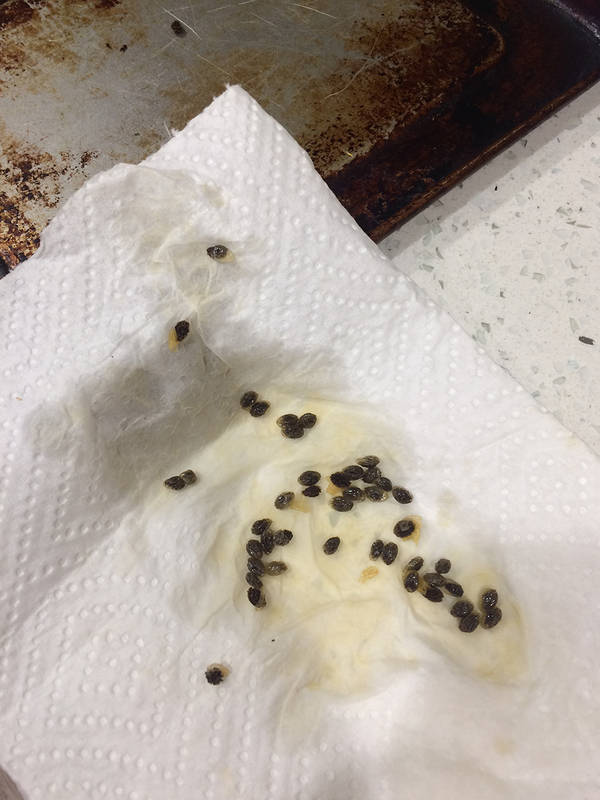 This is a sticky operation, but rubbing them between layers of paper towel first cuts down on the number of little seed skins that end up stuck to your hand as you pop them out of their skins. The seeds themselves have tiny bristles and hooks and look less like alien things and more like the briars that stick to your socks in late summer. 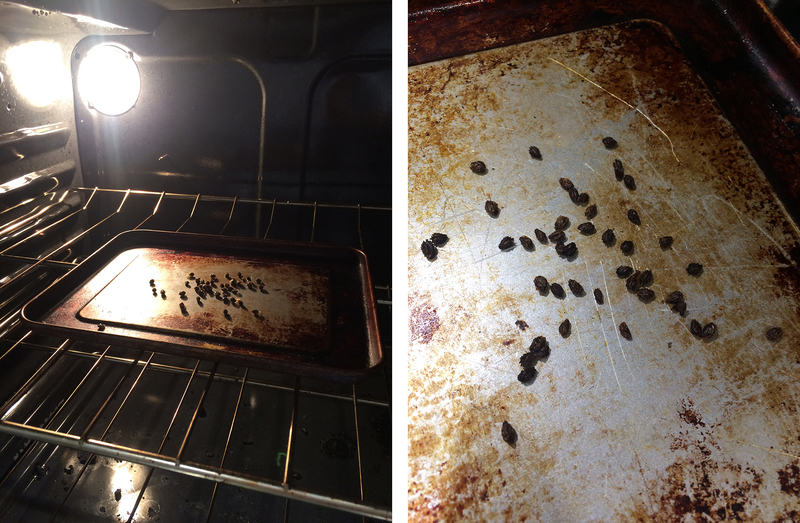 Although there are a lot of blog posts out there saying papaya seeds can be dried in the oven “at low heat,” nobody really seems to be giving an exact time it takes. I’m sure it varies, but for a handful of seeds, I was able to get them dry enough to grind in about an hour at 350 degrees Fahrenheit. 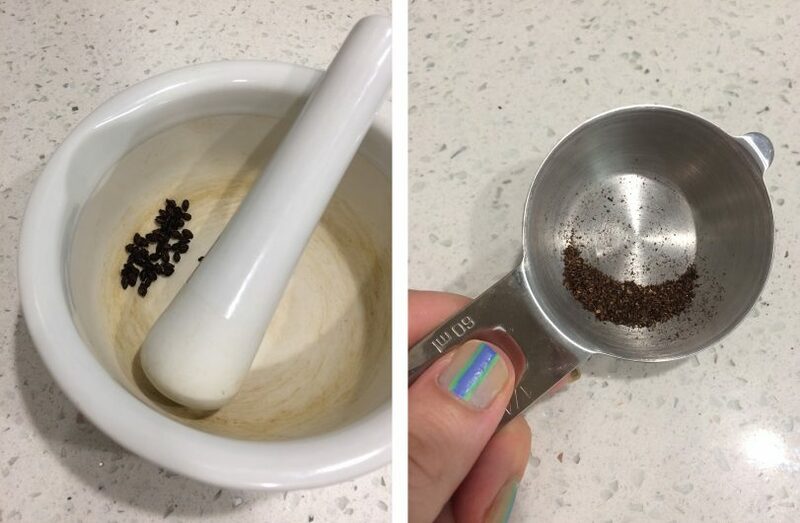 The dried papaya seeds ground incredibly easily with a mortar and pestle, leaving me with about a teaspoon of softly peppery powder that will be a perfect topping with some crema on corn. The drying and roasting process takes a lot of the mustard and horseradish flavour away from the seeds, which is a pity. I suppose I’ll need to hope the next papaya I pick up is more generous with its seeds because I can’t wait to try them raw.